The crane, which has a 6m-long beam and is fitted with a Yale 360 chain block for lifting and lowering loads, is principally used to lift vessels where work is required to the hull and / or keel. 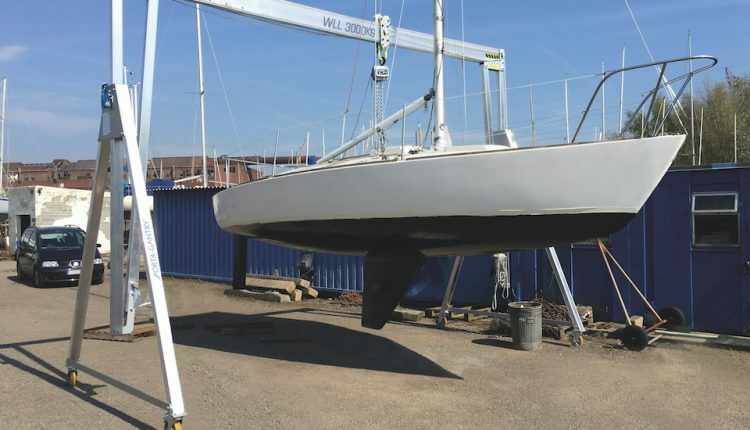 The system, fitted with a rope control system for lateral movement across the length of the beam, is also being used for yacht engine replacements as well as assembling and disassembling masts. Rigging methods vary but NUSC commonly uses strops, enabling it to allow for offsets in centre of gravity, commonplace in the marine sector. NUSC also purchased wind-up jacklegs to accommodate the gravel-based ground conditions at the riverside facility. Using four separate spirit levels on each leg, the gantry can be utilised even on uneven surfaces. The legs also provide an additional height of lift of 300mm and allow for fine height adjustments, if required.